In today’s blog post, you can find my top three reasons why the Fjällbacka Series belongs on your reading list—plus details on where to start with Camilla Läckberg’s fantastic series. Happy reading! 1. They’re the perfect place to start exploring Nordic Noir. If you’re a newcomer to the Nordic Noir genre, make Camilla Läckberg’s series one of your first stops along your journey. Scandinavian crime fiction has a (well-earned) reputation for being dark, gritty, dense, and quite violent—but if you want to ease yourself into it, Camilla Läckberg’s books are the perfect place to start. The Fjällbacka books have all the atmosphere, rich character development, and compelling investigations of Nordic Noir, but they do not rely on the same dark violence or dense plotting that define many of their peers. These books are much more focused on exploring the human fallout of crimes than on showing readers every little detail of the crime’s commission. What do I mean by that exactly? 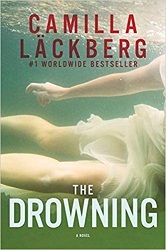 Where many Scandinavian crime novels bring readers up close and personal with the violence that sparks these stories, and then dig into the nitty-gritty of the investigative process after those crimes are committed, Läckberg’s books focus instead on the way her characters react to the violence they are facing. There are certainly compelling investigations at the heart of each of Läckberg’s books - and some of them do get quite chilling! - but if you’re a bit hesitant to jump right into the dark, gritty violence found in books by authors like Jo Nesbø or Lars Kepler, these books are a great place to start. 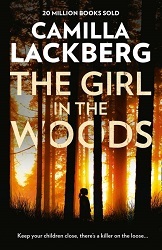 Läckberg’s books are light enough in tone and content to suit the genre newcomer, but still deliver the chills and suspense we all love from Nordic mystery novels. 2. They feature characters you’ll wish you could be friends with in real life. There are lots of reasons to love Camilla Läckberg’s books, but this reason is my personal favorite. The Fjällbacka Series centers around two protagonists: Erica Falck and Patrik Hedstrom. Patrik is a detective, and Erica is a writer with a particular interest in true crime; when their paths cross due to the suspicious death of one of Erica’s close childhood friends in the first book in the series (THE ICE PRINCESS), an alliance is formed between the two. Erica’s journalistic instincts make her a major asset in the investigation of her friend’s death… and even when the police wish she would give them just a bit of breathing room, she never gives up searching for justice. Over the course of the series, the police quickly discover that they can rely on Erica to provide sharp, intelligent contributions to their investigations. Truly, the best part about this series for me as a reader has been getting to know these characters. There are a number of characters who become quite beloved over the course of the series as well, but the relationship between Patrik and Erica is the series’ driving force. I won’t spoil anything, but as the series progresses, readers will be completely wrapped up in the tender and heartwarming moments that these two share. A word of warning: there will be a bit of romance as the series progresses, but it certainly never overshadows the fact that this is first and foremost a crime series. Instead, the romantic relationships in these books are all in service of just how human and relatable Läckberg makes her characters. Bonus: if you’re a reader who typically enjoys domestic suspense, the fact that these books do explore the personal lives of their protagonists will make this a natural fit for your reading preferences. 3. They’re the perfect mysteries to cozy up with on a chilly winter’s night. Set in the quiet fishing village of Fjällbacka, Sweden, this series is steeped in the kind of rich atmosphere that defines the best of Scandinavian crime writing. Sinking into these books feels like traveling to a different world; my strongest memories of the first Fjällbacka books I read aren’t as much about plot as they are about the general feeling that washed over me while I read these stories. Camilla Läckberg does a fantastic job wrapping readers up in the peaceful, mysterious, just a bit melancholy atmosphere of this quiet fishing village. And of course, this little village has lots of chilling secrets in store for its readers. As we look towards the winter months, these mysteries are exactly the kind of reads that were made for quiet snow days. You’ll want to wrap yourself up in a blanket, grab a hot cup of coffee, and cozy up with one (or more!) of these books for a weekend binge-read. Because this series is so very character-driven, it’s quite important that you read this it in its intended order. While each book in the series does tackle a standalone mystery, the driving force behind the series is the development of relationships between its central characters. Skipping around in series order will be a good deal confusing - and you’ll be missing out on all the wonderful character development that happens across the series! The series order for the Fjällbacka books is below! A star (★) denotes a CBTB favorite. The series launch! The suicide of a young woman raises disturbing questions for journalist Erica Falck, who teams up with local detective Patrik Hedstrom to unravel dark secrets in this woman’s past. A young boy discovers a corpse, setting in motion an investigation that spans decades, tying to an unsolved disappearance that has puzzled police for years. Could a serial killer be at work? While Erica and Patrik mark a major personal milestone, a dark crime casts its shadow over the town: a young girl that both Erica and Patrik knew well drowns under suspicious circumstances. A car accident claims the life of a local woman… but when another, similar accident occurs not long after, police begin to suspect that foul play is at work. Erica digs into her own past, and discovers ties to one of the darkest chapters in human history lurking in her own family history. When her research puts someone close to her at risk, she begins to wonder if the secrets her family has long held could have present-day consequences. A debut novelist - with whom Erica is close friends - has found major success with his first published novel. But when one of his friends goes missing, and he begins receiving threats, he must call on Erica and Patrik to investigate. As Patrik grapples with tragedy in his personal life, he faces a similarly tragic case in his professional life: the murder of a town official. The only clue to what really happened might lie in the official’s high school sweetheart and her young son. Easter, 1974: A family vanishes from their home on an idyllic island off the coast of Sweden. 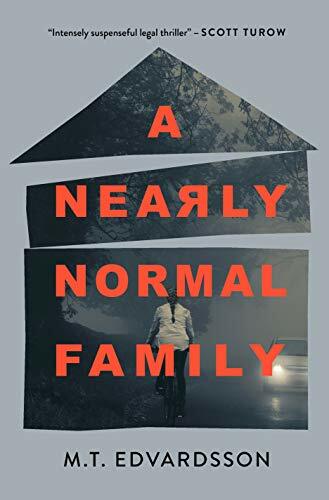 Years later, the young daughter of the family returns - and when she finds herself in the crosshairs of violence, Patrik and Erica are on the case. A young girl wanders through the woods in the freezing cold weather… she wanders into the road, and is tragically struck by an oncoming car. Fourth months ago, she disappeared on her way home, never to be seen again. Who was this girl? And are there more girls being held captive where she came from? NOTE: I haven’t read this one yet - I’m planning to read it this winter! A four-year-old girl disappears in the woods outside Fjällbacka, in the exact same spot that a child disappeared decades earlier. Back then, two teenage girls were found guilty of the murder… could one of them be the culprit this time?